Your net income before taxes combined with your spouse’s was more than C$300,000 in each of the 2 most recent calendar years, and you expect your combined net income before taxes to be more than C$300,000 in the current calendar year. Either alone or with your spouse, you own more than C$1 million in cash and securities, after subtracting any debt related to the cash and securities. 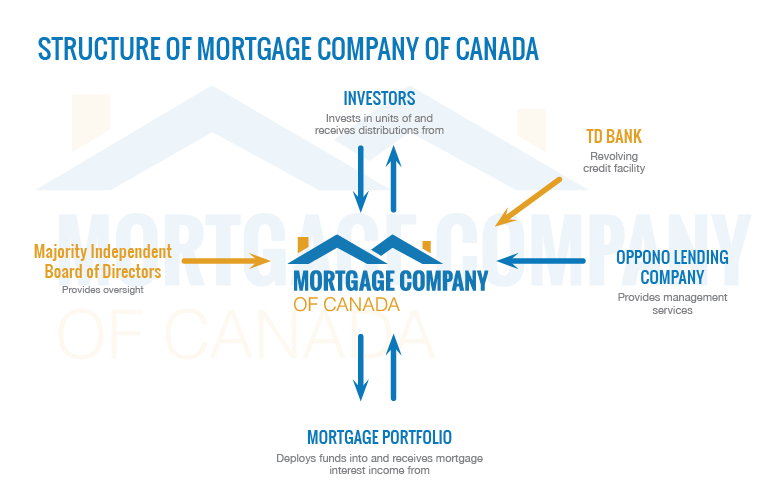 Accredited investors may subscribe to Common Shares (“Shares”) of the Mortgage Company of Canada at a minimum investment value of C$25,000. Shares may be purchased directly or through a registered plan such as an RRSP, RRIF, TFSA, or RESP or through any combination thereof. 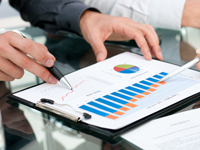 Should you have any questions concerning the purchase of Shares, please contact us at investor.relations@mcoci.com. Examples of who we lend to? This individual was looking to take out a second mortgage on his house to pay for his daughter’s wedding. After being unsuccessful in obtaining mortgage financing from a Canadian bank, this individual was referred to Mortgage Company of Canada through our brokerage network. He had been self-employed for many years as a florist, running a small shop in Richmond Hill with several employees. His application indicated that he had a modest income, which was corroborated by his income tax forms. He explained that his income was reduced by a number of business expenses that were discretionary in nature, which reduced his taxable income. After carefully reviewing his application package, including his company’s financial statements and tax returns, we concluded that after adjusting for these expenses his income was more than sufficient to qualify for this mortgage. We approved his application and we are happy to say that this individual repaid his loan in full without any complications. This young family moved to Canada several years ago and had received permanent resident status. One an accountant and the other a software developer, they had both been working in their respective fields for the past three years. However, because of their recent immigrant status, they had limited credit in Canada and were in the process of building their credit score. The couple had accumulated enough for a down-payment on a home in Vaughan, however because of their limited credit history their bank was unable to grant them a mortgage. A close friend recommended that the family contact Canadalend to explore the options offered by non-traditional lender. During our due diligence process, we reviewed the couple’s financial records and verified that their household income was well into six figures and sufficient to support the loan they had applied for. The family has since moved into their new home and are well onto their way of building a healthy credit score. This individual was looking to refinance her mortgage to pay for a kitchen renovation, however she were unable to do so through a traditional lender due to her recent credit history. Mortgage Company of Canada was contacted by a mortgage broker on behalf of this individual who explained her situation. We were informed that her father had become ill a few years earlier and was unable to pay for the medical treatment he needed. His only child rallied behind him and paid for the necessary medical treatments only to subsequently lose her job shortly after his recovery. As a result, some medical bills went unpaid, blemishing this individual’s credit score. It had been over five years since this occurred, over which time this individual secured gainful employment and paid the entire balance of the overdue medical bills. Her credit score, however, was still haunted by these earlier events. Through our personal underwriting approach, we were able to understand the circumstances surrounding her credit history, and looked beyond what was a very atypical event to see her entire story. Upon verifying that her income qualified her for the mortgage, we approved her application and are happy to say that she has not missed a payment.